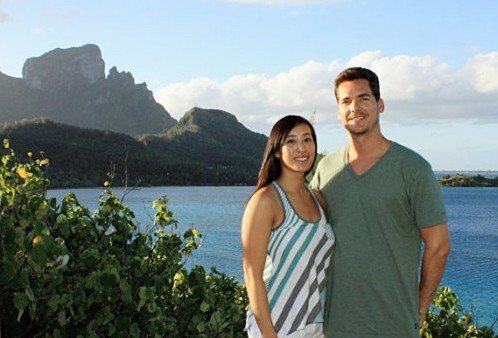 Interview with Travel Author David Stanley - Visit BORA BORA! You’ve written incredible resources on traveling, how did you get your start in publishing? I’ve traveled the world since the 1960s and in 1976 my journey took me to Indonesia. While there I used a slim guidebook called “Indonesia, a traveler’s notes” by Bill Dalton. Upon returning home I sent Dalton a summary of notes I’d scribbled in the margins of his book. Bill appreciated the feedback and we began corresponding. I told him about an island-hopping trip across the South Pacific that I intended to do the following year and offered to send him some notes which he could include as an appendix in his Indonesia book. Bill replied that the new edition of “Indonesia Handbook” was already overweight and that a separate guidebook was required. We agreed to co-author the new book with me doing all of the field research and Bill tying all the pieces together from his base in Michigan. The first edition of “South Pacific Handbook” was published in June 1979 and it became an instant success as there was nothing like it on the market. Your guidebook “Moon Tahiti” is very thorough. What inspired you to write this book? “Moon Tahiti” had its genesis in September 1989. Basically, we repackaged and expanded the French Polynesia chapter in “South Pacific Handbook” for the benefit of travelers who wouldn’t require information on other Pacific islands. By that time Frommer’s and Lonely Planet had produced French Polynesia guidebooks of their own and our spinoff guide was a response to the increasing competition. How many times have you been to Tahiti and her islands? And how has it changed over the years? My first trip to French Polynesia was in May 1977 when I flew Pan American Airways from Los Angeles to American Samoa via Tahiti. Since then I’ve been back a dozen times researching various editions of my books. On that initial 1977 trip I remember camping freelance at Cook’s Bay, Moorea, and right in the center of Vaitape village on Bora Bora. Of course, that wouldn’t be allowed today. On several subsequent visits to Bora Bora I stayed at Chez Aime Mare in Vaitape which in 1982 cost CFP 700 a bed or CFP 2,000 including all meals. Chez Aime and all of the other low budget accommodations in Vaitape closed down in the early 1990s as the focus of tourism shifted to Matira Point. Travel to French Polynesia today is a lot more expensive than it was back then but there are still ways to do it on a budget and I’ve tried to outline them in my guide. Before I embark on a trip I create a geographically-arranged list of everything I want to see and do. If I’m researching a guidebook the list can be several dozen pages long as virtually everything mentioned in the guide will be included. After the research trip, it’s very easy to see which facilities haven’t been checked as they won’t be crossed off the list. Later during the writing process I attempt to verify those entries by email, websites, or phone, and if that proves impossible, I simply delete them from the book. It’s a time consuming job. What is your favourite island in French Polynesia and why? Moorea has always been my favourite island. It’s super easy to get to Moorea from Papeete and inexpensive buses meet the ferries. There’s a wide range of accommodations and plenty to see and do. 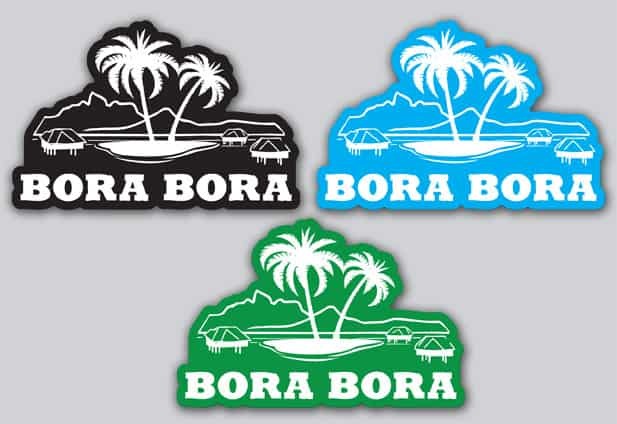 For scenery, Bora Bora is the best but the flight from Papeete is expensive and the accommodations are also quite pricey. I’ve always enjoyed exploring the island of Tahiti by rental car. When you visit French Polynesia, what is your must-see or must-do adventure? As a guidebook writer, I don’t have much choice as checking hotels and restaurants absorbs most of my time. Often, I don’t even have time to go for a swim. For other visitors, I’d say that the top must-see sight is Le Belvedere on Moorea and the finest must-do activity is swimming with the rays on either Moorea or Bora Bora. The top adventure option accessible to almost everyone is the Marquesas Islands cruise on the Aranui. What are your thoughts on the competition printed guidebooks are facing from digital media? The independent travel guidebook you purchase will almost always be more complete and reliable than the free information you can find online, even taking stale publication dates into account. Much of what’s on the web is commercially-motivated or the work of enthusiastic amateurs who rarely see the full picture. A reviewer on Trip Advisor may think they know everything there is to know about a certain resort but their expertise ends at the hotel gate. The resort next door or down the beach may be better value but why bother checking? A good travel guidebook should offer clear information on the full range of tourist facilities at a destination including many things a web forum reviewer would never know. What do you believe is the future of hard copy guidebooks? Sales of hard copy guidebooks have been in steady decline over the past decade and even large publishers like Frommer’s and Lonely Planet have changed hands several times in recent years. The most recent edition of “Frommer’s Tahiti and French Polynesia” is dated November 23, 2010; “Moon Tahiti” is from February 17, 2011; Jan Prince’s “Tahiti & French Polynesia Guide” is dated December 13, 2011; and “Lonely Planet Tahiti & French Polynesia” was published on September 1, 2012. Will new editions of these guidebooks be produced? I’m not sure about Lonely Planet and Jan Prince but it’s quite likely that Frommer’s and Moon will go out of print. That would leave you with the likes of Trip Advisor and Google Search. Frankly, I think the disappearance of printed guidebooks will be a huge step backwards, even though it does have the advantage of restoring the thrill of unplanned individual travel that was the norm in the 1970s before the book bound masses and later the device driven hordes appeared on the scene. Do you have any advice for other travel writers? Travel writing and guidebook writing are two different genres and I can only comment on the latter. Most large guidebook publishers now require their researchers to sign away all rights (including moral rights) and agree to a flat one-time fee. You won’t get rich that way. Newbie writers in both genres should specialize in places they like and which are cheap to research. Ideally, they should write about their own local area. And they should be sure to have a day job to support their hobby. Next articleWhen to go to Bora Bora?